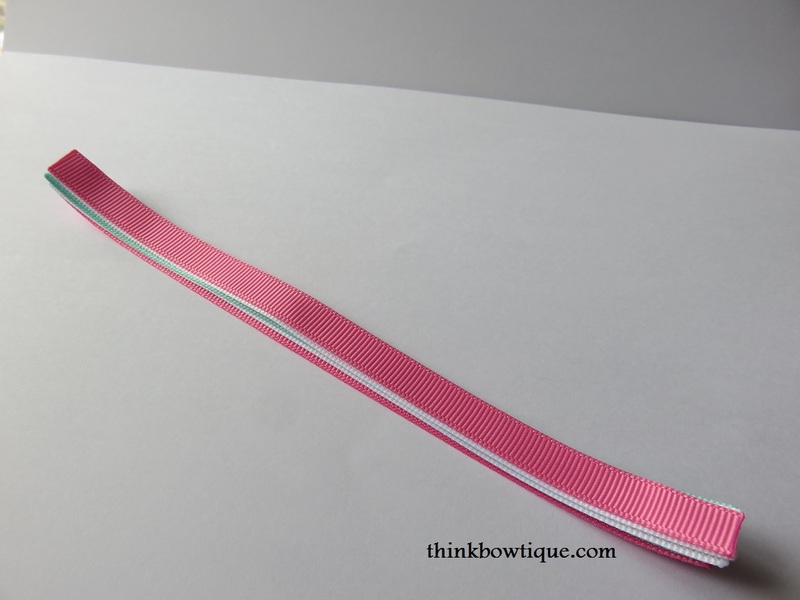 To make this pretty ribbon layered bow you will need your choice of ribbon. 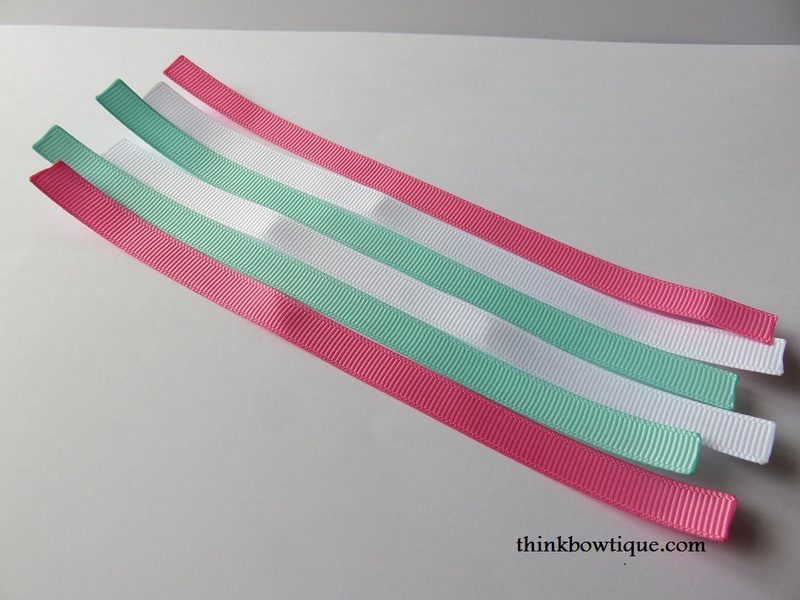 Cut and seal your grosgrain ribbons and lay them out in the order you want them to be. 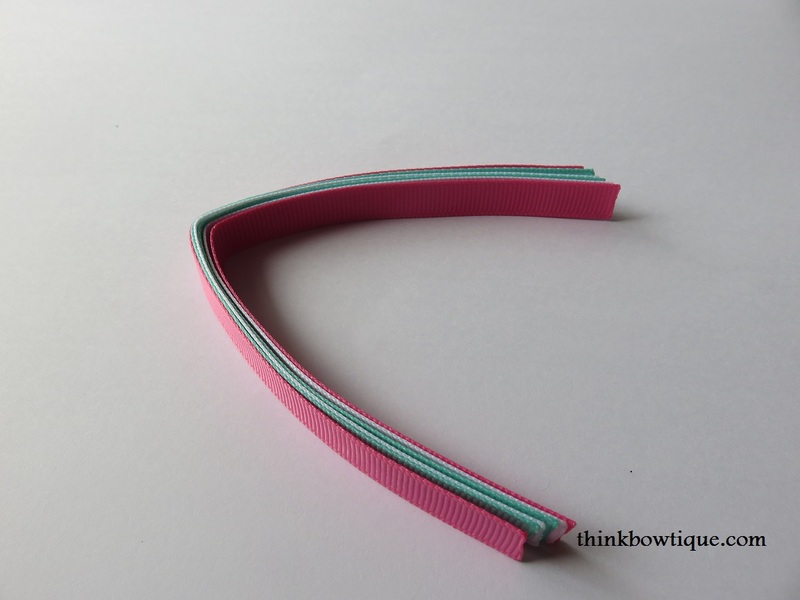 Lay your grosgrain ribbon on top of each other with the ends even. Fold in half to get your middle. With your needle threaded and knotted push your needle part way through the centre of the grosgrain ribbons. Now take your top ribbon on the left and push the edge of the ribbon onto the needle. You want the place the needle through the inside edge on the bottom edge of your grosgrain ribbon. 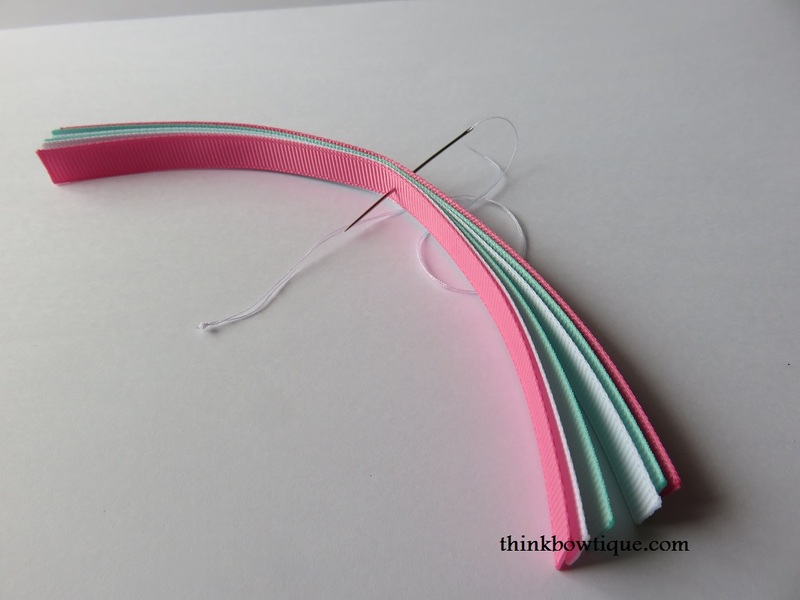 As you place each layer onto the needle your more a little further across the ribbon edge. So when you get to the last ribbon your are now putting the needle through the top edge of your ribbon. New you start the right side with the bottom ribbon and feed onto the needle starting with the top edge of your ribbon and more the needle further across the bottom of each ribbon. Once all your layers are on the needle pull the needle through and tie of like a button hole. 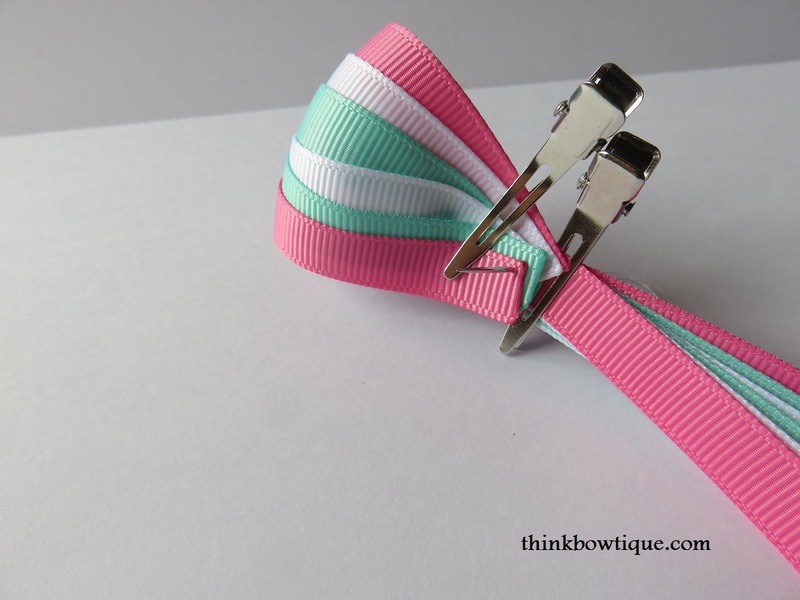 You might find it helpful to use a hair clip to hold the ribbons in place. 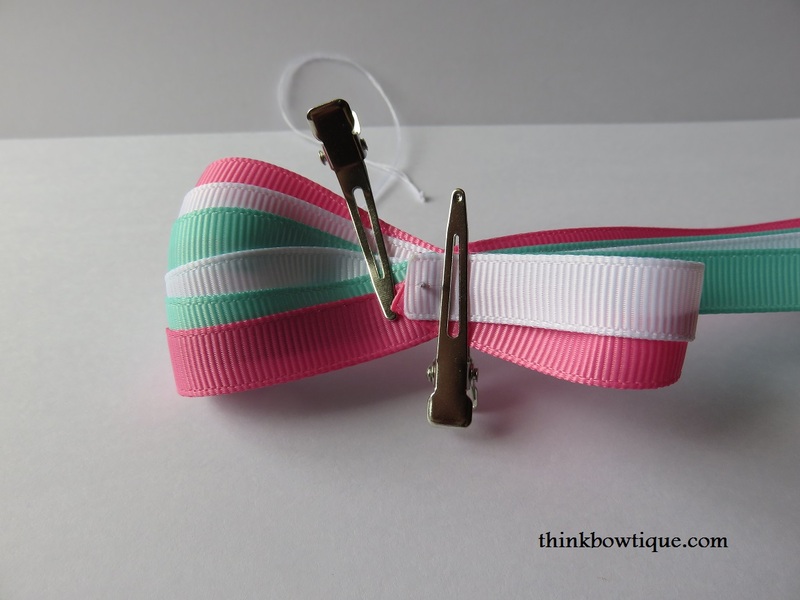 Hot glue a ribbon around the center of your bow and you can now had a hair clip to the back of your bow or sew it onto any craft project. You could also embellish the centre of your bow with some bling. 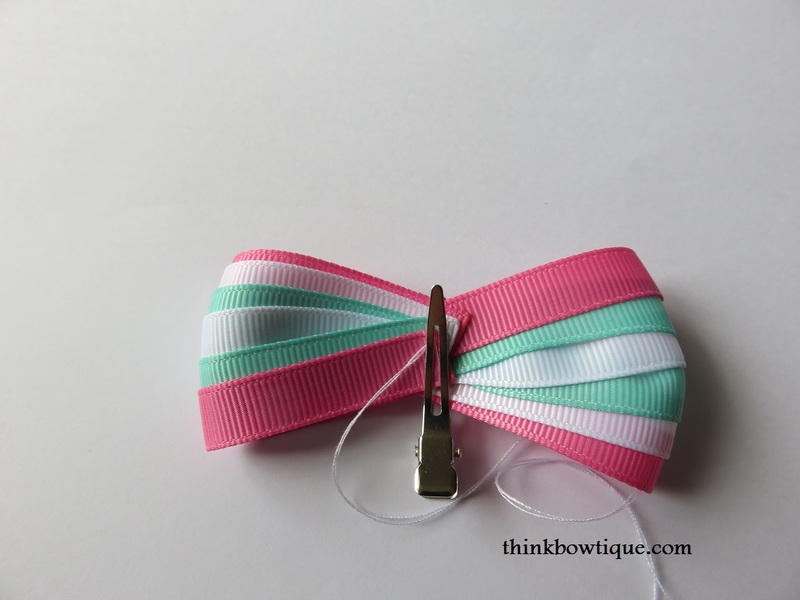 Of cause you can make this bow with any width ribbon you would like. 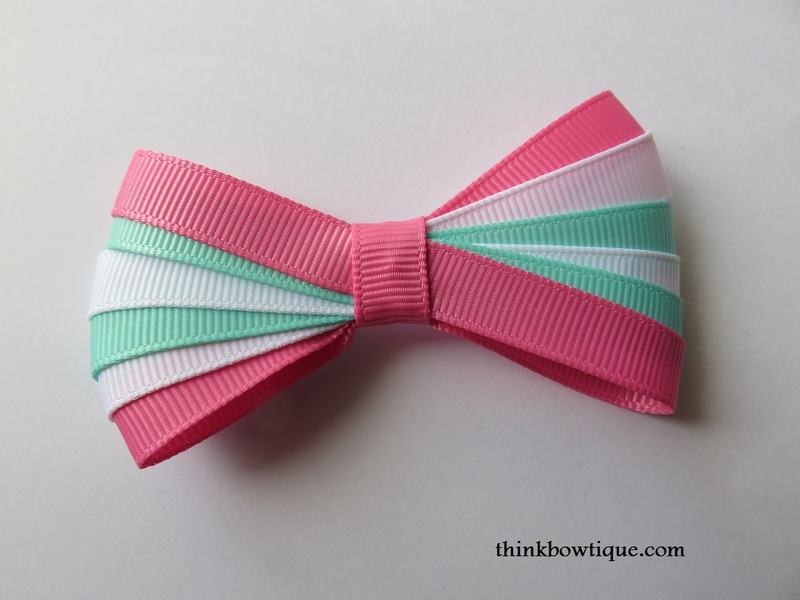 This bow would also look very pretty made with satin ribbons. What colour ribbons will you use?